How do I turn the floating widget (OneClick) found at the top or side of my screen on or off? 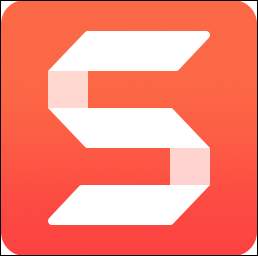 Select Start > TechSmith > Snagit Capture. Select View > Show OneClick to turn on OneClick. Select View > Hide OneClick to turn off OneClick. OneClick is automatically on when Snagit 12 is installed. To turn off OneClick, please follow the steps below. Hover cursor over the Capture window and select the Gear icon > Preferences. 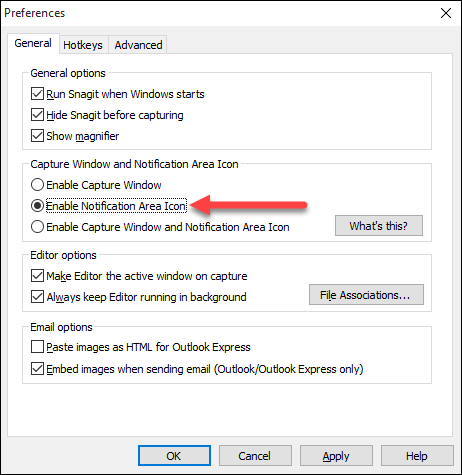 Select Enable Notification Area Icon under the Capture Window and Notification Area Icon. This action removes OneClick. To capture, use the hotkeys or the Snagit icon in the notification area.